January is generally anticlimactic and dreary after the holidays, and the beginning of this year may feel particularly dreary in comparison with the ebullient atmosphere prevalent eight years ago. Yet it’s also a symbolic start. If we learn anything through reading about comedians’ lives, it’s that we can survive almost anything with a great sense of humor and drive. The United States is a rich stew of comedic traditions that continues to attract those driven to innovate and break boundaries through this most elusively mastered art form, one that requires the freedom of speech and ideas offered here. Joan Rivers, a second-generation Jewish immigrant, proved herself a master of re-invention and a trailblazer for female comics everywhere. 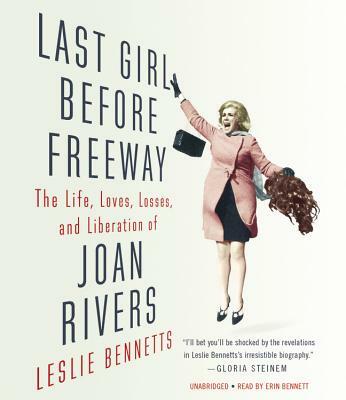 Leslie Bennetts’ biography Last Girl Before Freeway is a timely look at one of the most fascinating, tireless, and driven women in show business. 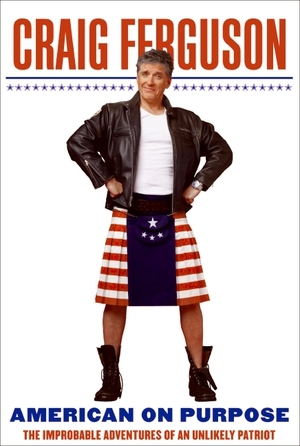 In his memoir American on Purpose, the charming Scottish comedian Craig Ferguson looks back at a life conquering demons and how he saw America as his beacon, creating a new career through stand-up, a stint on The Drew Carey Show, and as a late-night TV host, becoming an American citizen in the process. Martin Short’s autobiography I Must Say is not only a very funny read, but also reveals his own recipe for survival while taking a warm-hearted look back at his group of brilliant Canadian comedians who landed on their feet in the United States in the 1970s and 1980s, making movies and creating cutting-edge comedy through work on groundbreaking programs like Saturday Night Live and SCTV in particular. Having read Joan Rivers’ autobiographies Enter Talking and Still Talking, along with watching the compelling 2010 documentary about her, Joan Rivers: A Piece of Work, I could not wait to read this biography. Bennetts, a well-respected writer for Vanity Fair and other publications, started researching it almost immediately after Rivers’ death in August 2014. Rivers, the daughter of two Russian Jewish immigrants, was torn between their incessant Old World demands that she become a doctor’s or dentist’s wife for financial security, and her own modern, single-minded dreams of making a career in show business, which her parents viewed as being one step up from prostitution. Every advance of her early career seemed like a Sisyphean ordeal as she started out as an opening act at strip clubs, working her way to better venues, and eventually taking on an initially unwilling boys’ club with a 1960s stint in the famed Second City Improv troupe. Like many a Jewish member of show business, she changed her name to better blend in with a WASP culture. When she finally got her big break on Johnny Carson, she felt that she had finally hit her stride. Meeting her husband Edgar Rosenberg, a producer, and having her beloved daughter Melissa in 1969 while acting as a guest host for The Tonight Show merely cemented her happiness in her new marriage, and the feeling that with Edgar, she had a partner who would always look after both her and her career. In the 1980s she reached a mighty pinnacle by becoming The Tonight Show’s permanent guest host, at a time when an appearance by any comedian on the show was a make-or-break career moment. She also became the first woman ever offered her own late-night talk show in 1986 on the fledgling FOX network. Johnny Carson never spoke to her again when he found out that she was starting her own show opposite his time slot. When Edgar, her officious, insecure manager-husband undermined her relationship with TV executive Barry Diller and the network, they were summarily fired from her show in 1987 and also black-balled from The Tonight Show. Unable to recover from this loss and his black cloud of depression, her husband very publicly committed suicide, leaving Rivers herself temporarily suicidal, having fallen from the pinnacles of power with her daughter Melissa blaming Rivers for her father’s death. The power of Joan Rivers lies in her early-instilled immigrant work ethic, desire to be financially independent, tenacity, and her seemingly limitless energy to bounce back from personal tragedy. Soon her brash humor and survival instincts kicked in, and she decided that she would walk through any door on her way back up that career ladder. Having perused Rivers’ own memoirs, I found a more comprehensive picture of her career difficulties here through reading outside perspectives from former managers, lawyers, and producers who saw her disrespected husband as her blind spot and Achilles’ heel. Bennetts successfully pinpoints Rivers’ self-loathing because of her lack of beauty and early pudginess as fuel feeding both her need for approval and the eating disorder that caused her to avoid meals to stay thin. It also caused her to get excessive plastic surgery procedures that ended up leaving her face an artificial mask. Her comedy over time turned towards making fun of beautiful women who were heavy or had gained weight, such as Elizabeth Taylor, who became the target of her fat jokes and thus ironically her meal ticket in the 1980s. (The singer Adele became one of her last targets in the last two years before her death.) As a result of Joan’s insecurities, she felt free to be cruel and superficial when commenting on high-and-mighty showbiz figures, even in one of her most popular recent shows, Fashion Police. Yet she showed a completely opposite side in displaying endless warmth, generosity, and responsiveness to her public, loyal staff, good friends, and family. She also supported the charity God’s Love We Deliver, whose original mission was focused on helping AIDS patients, when to do so was potentially taboo. Coming from a financially insecure childhood and unstable career, Rivers was as focused on regaining wealth as she was in succeeding in comedy. She took any show business job possible after mending fences with her daughter. Her biographer astutely notes that she never got the recognition she deserved for her achievements in all areas of her life. In particular, she was never recognized by the financial establishment for the fashion and accessories empire she built on the QVC shopping network, which left her with the income she required to live lavishly and to the manor born in her over-the-top Upper East Side apartment. For those who enjoyed The Late Late Show with Craig Ferguson, which followed David Letterman on CBS from 2005-2014, his memoir will serve as a touching and compelling read. He grew up in working-class Glasgow in a loving family, but also experienced a drab Scottish school system that emphasized obedience over innovation, fostered class enmities between Protestants and Catholics that were a fainter echo of the Troubles in Northern Ireland, and broke any desire to complete any education past the age of 16. On a trip at age 13 to visit his uncle in the United States, Craig fell in love with New York City and America in particular. With its emphasis on multiculturalism, innovation, and possibility, it served as the antithesis of his school experience with its emphasis on corporal punishment and conformity. Thus the seeds were planted for his eventual jump across the pond. An autodidact and punk rock musician, Craig started work as an apprentice electrician after leaving school while playing gigs and beginning to drink and do drugs heavily. Over time, he lost his job and met various girlfriends, losing them after blacking out and becoming increasingly irresponsible. He suffered intense anxiety along with withdrawal, which he could only quell with more alcohol or drugs. After missing a Christmas Eve flight from London to a family Christmas in Glasgow by going on a bender, he finally strongly considered committing suicide by jumping from Tower Bridge in London at age 30. His moment of clarity allowed his friends to put him in rehab, which saved his life. Ferguson’s endearing zaniness and comedic prowess paved the way for a long-awaited permanent move to America. In Hollywood he started his showbiz career that netted him TV pilots, several movies, and then a continuing role on The Drew Carey Show. In 2005, after competing against a revolving crew of guest hosts, he finally took the helm of The Late Late Show with Craig Ferguson, a very funny, silly program that first brought him to my attention. At that point he also started doing stand-up around the country, which led him to consider becoming a citizen after having lived here so long. When he was first made an honorary citizen of Ozark, Arkansas, he decided to put up a map on his television show and ask other towns and cities across the country for honorary citizenship, thus leading him on a symbolic path to a meaningful U.S. citizenship. Ferguson’s book is inspirational, funny, and serious. His story reveals how he found his way from the bottom of a bottle to a very successful showbiz career, marriage, and family in a country he had come to love as the fabled land of opportunity. He had put his life-threatening demons to rest, using his sense of humor, intelligence, and grasp of comedy to open up his life. He had also come to live in a country he found welcoming, warm, and open; a place he could enrich with his eccentric sensibilities and acute observations. 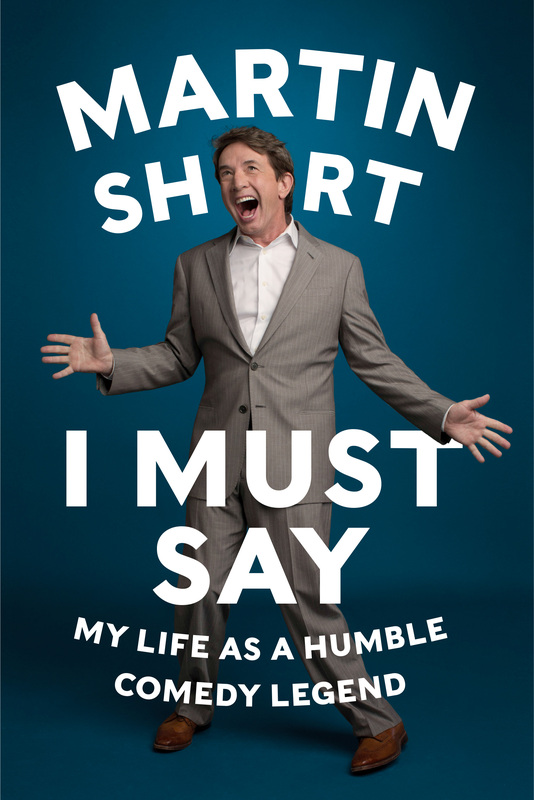 Martin Short first came to my attention when I was a kid watching him on Saturday Night Live as the hilarious Ed Grimley, a bizarre character obsessed with Pat Sajak and Wheel of Fortune. So reading his book, a firsthand account of what could be called the Canadian Comedy Invasion of the 1970s and 1980s, was a treat. When he was 21 in 1972, Short was cast in the Toronto production of Godspell, which ended up being an incubator of talent that eventually achieved celebrated comedy and acting careers in both Canada and the United States. That cast included Gilda Radner, Victor Garber, Eugene Levy, Andrea Martin, Dave Thomas, and the groovy young bandleader/musical director Paul Shaffer. Shaffer went on to lead the band and create the background atmosphere for the edgy and influential early Eighties talk show, Late Night with David Letterman, which both shaped and became a funnel for the edgy, changing brand of comedy taking form. The Godspell cast drew in friends and family that included other future Canadian and American luminaries such as Bill Murray, Brian Doyle-Murray, Dan Aykroyd, John Candy, and Catherine O’Hara, among others. All congregated in Toronto at crash pads outside of work, creating a crucible of talent and mutual support that would lead to most leaving for larger show-biz pastures in the United States. Short started a relationship with Gilda Radner, who was his first and only long-term girlfriend before he met his eventual wife, Nancy, an understudy for the show. As in the best show-biz memoirs, Short lets loose with a flood of funny stories about his close friends from that time, as the Godspell crew started to disperse. In 1973 the famed Second City improv troupe opened a sister company in Toronto, where Gilda Radner, Eugene Levy, Dan Aykroyd, Joe Flaherty, Catherine O’Hara, Andrea Martin, Dave Thomas, and Brian Doyle-Murray landed. John Candy and Bill Murray took spots at the original troupe in Chicago. After watching the careers of his fellow actors, sketch comics, and masters of improv take off, Short finally summoned up the nerve to do Second City and then join the subversive, brilliant cast of SCTV, featuring many of the bold-faced names above. As Gilda Radner and Bill Murray left, they became household names as stars at the groundbreaking and instantly popular Saturday Night Live from the first and second seasons of the show. Short himself joined the show for one year in the early Eighties. As Short tells multiple witty tales of meeting many good friends and movie luminaries such as Tom Hanks and Rita Wilson, Steve Martin, Diane Keaton, and Nora Ephron and Nick Pileggi, he also talks about the fearlessness he inherited in his career from the difficulties of handling the death of his eldest brother in a car accident when he was thirteen, followed by the death of his mother from cancer at sixteen and his father at twenty. After their losses, rejection receded in importance and emphasized his life priorities. Comedy was also his saving grace, helping him to get through those difficult times and another that struck 2010. To make some order out of his life and losses, he developed something he called the Nine Categories, where he gave himself scores in nine areas and aimed to keep a good overall average: the importance of maintaining his psychological and physical health, close family, immediate family, friends, career, money, creativity, discipline, and lifestyle. By checking in once a week, he sees where he needs to put in more effort, where he has been succeeding, and which direction he needs to pursue. Short has used it for 35 years to put career hiatuses in perspective, particularly in regards a career as uncertain as show business and a life devoted to his marriage and three children. It seems unusual that a man so prone to creating crazy characters has found a way to discipline himself so successfully, but it too is oddly inspirational. I think I may look hard at his theory and put it to good use in forming my own New Year’s resolutions. The ebullient Short, like Joan Rivers, has been willing to go through any door to keep moving when difficulties loomed large. When there were no movies he would do television. When there was no television he would do plays. In the process he has accrued a hoard of wonderful friends and show-biz tales, along with creating bizarre characters that have burst forth in places as varied as SCTV and feel-good movies like Father of the Bride, in which he plays hilarious and ethnically ambiguous Franck the Wedding Planner with Steve Martin and Diane Keaton as the father and mother of the bride. Short paints a picture of a life full of familial love, good friendships, and career success; one divided between his retreat in Canada and his life and career in the United States as a dual citizen.